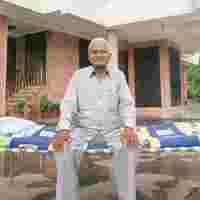 Ahmedabad: In so many ways, time has been kind to Odhavji Raghavji Patel. The chairman of the world’s biggest wall clock manufacturer is 82 years old and still wakes before sunrise and works until late at night. His clocks, under the brand names of Ajanta, Orpat and Oreva, are sold in 45 countries. He employs 7,000 people, 5,000 of them women, in diverse businesses from clock-making to harvesting water for farmers. His Ajanta Group even makes power-saving compact fluorescent lamps and clay-thrown vitrified tiles. So influential has he become that Gujarat chief minister Narendra Modi finds himself appealing to Patel to help move along developmentprojects. Dubbed the “father of wall clocks" and, more endearingly, “Odhavjibhai", Patel radiates simplicity as he sits in the courtyard of his palatial family home in Morbi. Despite the Rs500 crore empire he has built, Patel remains true to his roots—a teacher, a title he far prefers to entrepreneur. After graduating from Shamaldas College in Bhavnagar at the age of 19, he taught science at VC High School in Morbi, a town in the Saurashtra region of Gujarat, with a population of 200,000 and known as the ceramic and clock manufacturing capital of India. And he really wanted to be a pilot. “But I came from a decently conservative family that had a traditional mindset about travel," he says. “We believed that even if you earn less, one should not leave the motherland." In the early 1960s, he joined the National Cadet Corps as a junior commissioned officer. The student-run programme, which provides basic armed forces training for back-up officers in the event of attack, allowed Patel to travel across the country and helped teach him discipline. This, coupled with activities such as drama and sport at the school level, groomed him for management. It all began in 1971 with the setting up of a small partnership firm —“minimal funds, maximum partners", Patel says—known as the Ajanta Transistor Clock Manufacturing Co.
“I had four sons and two daughters to educate. As a teacher, my resources were limited and so I decided to do something," Patel remembers. He had tried his hand at business before; one venture supplied diesel engines to farmers on loan, repaid once the harvest had been reaped. It was not very profitable. Still, when representatives of the biggest clock manufacturing company then—Scientific—approached him for business, Patel did not give it a second thought. “They all were from humble backgrounds and I was the most educated among all. So they thought that I would be able to help them communicate with the outside world and set up the business," he says. They began the business with Rs1 lakh in a rented premises, manufacturing magnetic clocks at Morbi with coil. But taking the products to market was not easy. The wall clocks from Scientific’s stable ruled the market and nobody either in Gujarat or Mumbai area allowed the newcomers to gain a toehold. So he thought out of the box. “We went to South India, to Tamil Nadu and Kerala," he says. “We went directly to shopowners to sell our clocks. This helped us improve margins for the shop owners and did away with the middle men." The group also moved the clocks by road instead of rail, so they were not beholden to the unpredictable schedule of the railways. In 1974, different models and makes of clocks were introduced globally. Some used a steel strip, an import from Japan in those days. Patel felt the ingredient would change the way clock business would develop in the future and so he travelled to Japan and Taiwan with his elder son, Pravinbhai Patel, to bring the quartz technology to India. Thus Ajanta Quartz was born—the brand that made Patel’s company what it is. These clocks were simple and provided accuracy that was earlier available only on large, expensive pendulum clocks. They did not require any maintainance and were much smaller in size. “We travelled abroad and this helped us understand which way the world is moving," he says. “This kept us ahead of our competitors in Morbi. Using this new technology, we could manufacture a clock at, say, something like Rs45 per wall clock, but sold the same piece at Rs105 per piece. So, profit margins were high, but the only difference is that we pumped all the money earned back into business." The quartz clocks were an instant success among buyers and encouraged the group to significantly increase the product range: pendulum clocks, rotating pendulum clocks, wooden clocks, ceramic clocks, glass clocks, metal clocks, and on and on. In 1990 and 1991, the clock manufacturing activity was further expanded by shifting the factory outside Morbi. Today, the group’s profile includes educational toys and home appliance products such as electric irons, toasters, hand blenders, emergency lamps and more. The strategy has been to leverage strong distribution channels and introduce more and more products, which can be manufactured using facilities available with the company. This maximizes the group business and also popularizes its brands. Beyond looking outward for opportunity, Patel is firm in his business’ commitment to social responsibility and the community around him. Of the total 7,000-plus people employed at Ajanta, more than 5,000 are women. Patel is matter-of-fact when asked why. “Women are more sincere and less prone to wasting time at work, thus proving to be far more productive than men," he says. Employing women was a big business potential with social implications. He therefore decided to employ them. His son Jaysukh Patel says his father’s employment of women is linked to the water harvesting revolution, in which the family also was involved. With the Saurashtra region shaped like an inverted saucer and a series of droughts in the late 1970s and 1980s, the elder Patel pioneered the movement to build dams and recharge groundwater. “This brought about a revolution in the villages of Halvad, Wankaner, Dhrol, Jodiya and Morbi and helped stop migration of the workers from the Saurashtra region," Jaysukh says. With the rise in the water table, the men in the Saurashtra region returned to agriculture, and others who had migrated to south Gujarat began making a mark for themselves in the diamond-polishing business—leaving the women alone. Patel stepped in to help these women also support their families. “If you wanted to employ them, you have to provide employment near their home. I travelled to every village nearby and convinced village leaders to send their daughters and sisters to work,“ Patel said. However, it was not that easy and it was only when Patel decided to set an example from within the family that women gradually came to believe—and to work. The wife of Patel’s elder son, Pravinbhai, was roped in to come and work at the factory. Then, the female domestic help were persuaded. Gradually, women from 450-500 surrounding villages such as Paddhari, Tankara, Maliya, Dhrol and Morbi began working at Ajanta factory. Today, Ajanta has buses to transport these employees. “They learn discipline, hard work, value of time and money at our factory. They work without any fuss. All these learni-ngs help them in running their family and dealing with their family members and people around. This has helped make society better," Patel says. In the clock manufacturing sector, he gave big established firms a run for their money. His strategy has been keeping profit margins low and aiming for higher volumes. He also does not believe in deploying high-end or costly technology for the sake of doing so. This has helped him cut corners and earn more. “I did nothing new, but followed basic traits of business of selling a product that is good-looking and performs well and has a good service back-up network and at an affordable cost. Where do you need an MBA for this?" he says candidly. His family says he remains humble: “If someone tries to change his wardrobe with new clothes, telling him that he is the father of an empire that has a turnover in crores, he gets angry and shows off his pension of Rs1,200. He says that he is just a retired teacher and cannot afford new clothes every time," says Jaysukh, a director in the Ajanta group. It is not without reason that even the chief minister of the state appeals to Odhavji to help him. “I want to see Morbi clean and I want the 20,000 to 30,000 youth in Saurashtra educated in English. I appeal to Odhavji to please help me with this," Gujarat chief minister Modi said at a meeting in Morbi to inaugurate a natural gas transportation facility. Patel also helps run hostels for more than 50,000 girls and boys in the region, providing food, boarding and study material. He recently helped collect more than Rs78 crore from the people of Saurashtra to meet the financial needs of these hostels. “I would continue to remain a teacher till the last breath of my life. As for the business, it is now for my sons to take it forward," he says. “But I must tell them one thing if they want their business to prosper: Give your customers value for their money, be it in terms of pricing or quality, and don’t get into a quagmire of magnificent returns."